Phoenix Arizona based electrical contractor is running a St. Patrick's Day promotion for local residential customers. 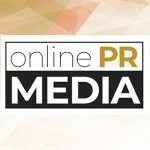 Online PR News – 16-March-2012 – – Many homeowners are feeling an economic pinch in light of $4 a gallon gasoline and other price increases. Cirtcele Electric, a full service Mesa electrical company serving the Valley, is offering a way to save some green over the next several weeks. For the month of March, residential service calls will be 50% off the regular price (normally $85.0.) Cirtcele Electric has deep roots in the Valley according to owner, Dave Specht. "My family has been in the electrical business dating back to 1946. I take pride in doing what's right for our customers, and if this little promotion can help someone get the service they need, it could ultimately be the difference in whether an electrical problem becomes a house fire." Just as one should have their air conditioner or heater serviced on a regular basis, one should also have their home's wiring inspected for safety. There's no better time to have an electrical service visit than the month of March to take advantage of the St. Patrick's Day specials. Circtcele Electric has been serving the needs of homeowners and business owners in the Phoenix area since 1989. They are insured, bonded and certified as well as being an insurance-company approved electrical contractor and an SRP Energy Efficiency Alliance Contractor.